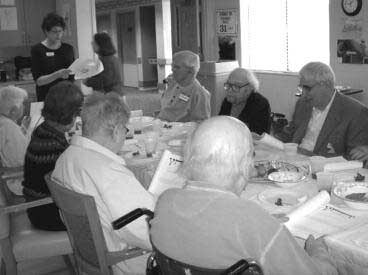 Passover is around the corner and Boulder Jewish Family Service (JFS) needs your help celebrating the holiday with local seniors. If you would like to volunteer at one of the Seders, we’d love to have you. We’re also looking for people to come early or stay late to visit with the residents. At certain locations, it’s helpful to have volunteers bring residents from their apartments to the celebration. We also need volunteers to bring food, such as haroset, macaroons, juice and gefilte fish to Frasier Meadows on Tuesday, April 10. Having families join in makes the Seders more festive, so feel free to bring your kids! Contact Ingrid Swords, Boulder JFS volunteer and resource coordinator, at (303) 415.1025 or iswords@jewishfamilyservice.org if you’d like to help in any way!